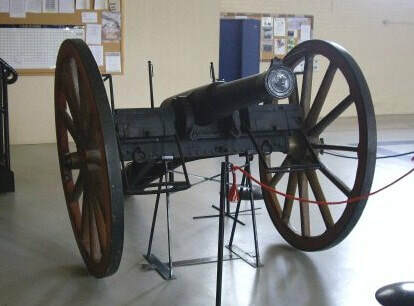 The 26th Field Artillery Regiment RCA based in Brandon, Manitoba maintains a 9 Pounder, Mark I, 6-cwt, Rifled Muzzle Loader for Land Service. This gun can be traced back to being issued to the Welland Field Battery in Ontario in 1893. Photos and information from http://silverhawkauthor.com by Harold A. Skaarup. Front, side and rear view - 9 Pounder RGF No 606 is in good shape. 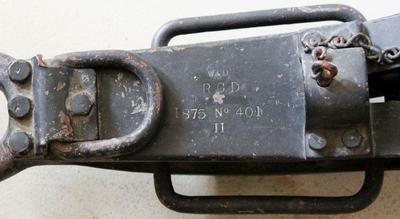 The gun is equipped with the original style of seats but is lacking the leather straps. 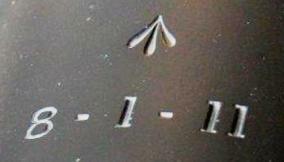 Cypher, stamps and other markings - The barrel is stamped with Queen Victoria's cypher (1837 - 1901). the numbers close to the breech (8-1-11) represent the weight of the barrel (hundredweight-quarters-pounds) which would be equivalent to 935 lbs. The arrow indicates it has been proofed and accepted for service. 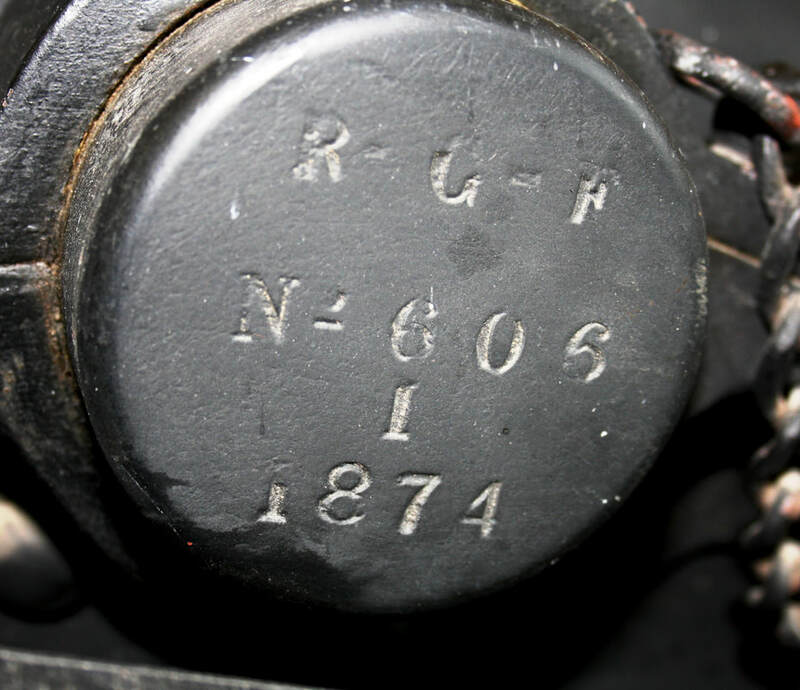 The trunnion is stamped R-G-F No 606 I 1874 which would indicate that it is serial number 606 manufactured in 1874 in the Mark I design. ​Carriage Reg. No. 40, RGF 1874. Wheels - Wooden, unknown condition or style.